There is a revolution happening in the financial markets. For the first time ever, the common man has access to the same tools of wealth creation that banks have had for hundreds of years. 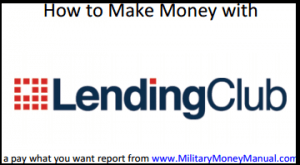 This report will walk you through everything you need to know to start making money with Lending Club. Thanks to the magic of the Internet and some brilliant entrepreneurs, you can invest in your fellow man and generate solid returns. 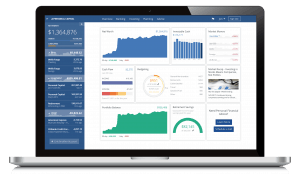 It’s called peer to peer lending and Lending Club is the company at the forefront of this next revolution in financial products. Lending Club paid over $135 million to its investors since 2008. If you invest smartly, you too can reap the benefits of this financial revolution. This isn't the next Enron, Bernie Madoff, or sub-prime mortgages. This is real people investing real money in other real people and receiving solid returns for their investments. I've been using the service for over 2 years now and I’ll share my experience with you. Are you tired of earning less than 1% in your savings account? Are you leery of a stock market that requires a 20 or 30 year investment horizon? Is real estate just too time consuming and onerous? If yes, then Lending Club is for you. Start investing smarter today. How Safe is Lending Club?